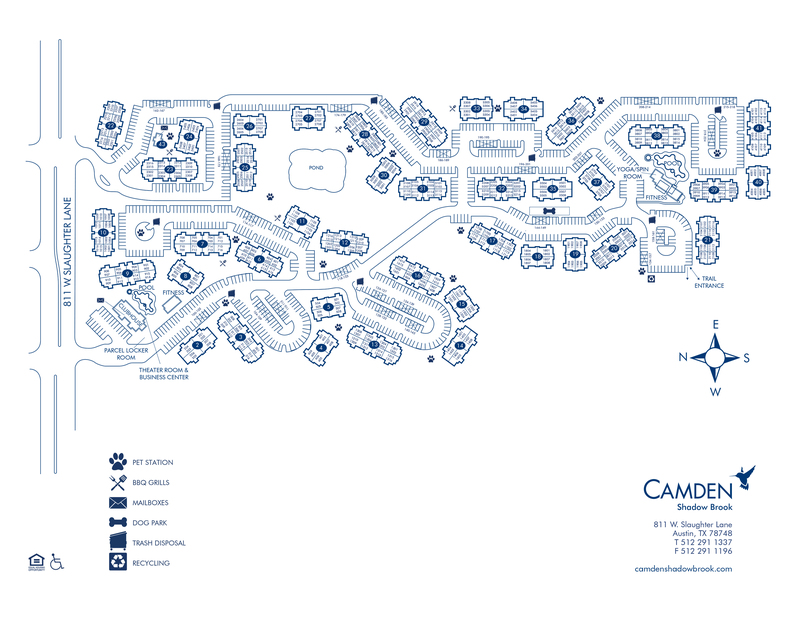 Camden Shadow Brook features one, two and three bedroom apartment homes in Austin, TX, located close to Circle C and Mopac Expressway. Our community is two miles from I-35 in Southwest Austin. In addition to our fantastic location, our apartment homes include updated appliances, modern cabinetry and full-size washer and dryer. Select apartments feature walk-in showers and extra-large interior storage closets. Our community boasts two pools with outdoor lounging and grilling areas, two fitness centers and a private movie theater. Don't just imagine all the different workout possibilities, check out a virtual tour of our fitness center here to start planning your new workouts! Our private dog park is the perfect place to let your furry friends play, and enjoy direct entry access to Mary Moore Searight Park. With all the amenities that Camden Shadow Brook has to offer, the hardest part will be choosing where you want to hang out today! Your apartment is just minutes away from fantastic shopping and dining at Southpark Meadows and perfectly located just south of Downtown Austin. The walking and jogging trails of Circle C Metropolitan Park are just down the street from our community. Life is a lot more exciting at Camden Shadow Brook! Get the perfect spot! We have ample open parking for our residents and visitors on a first-come, first-served basis. Select apartment homes include a carport.